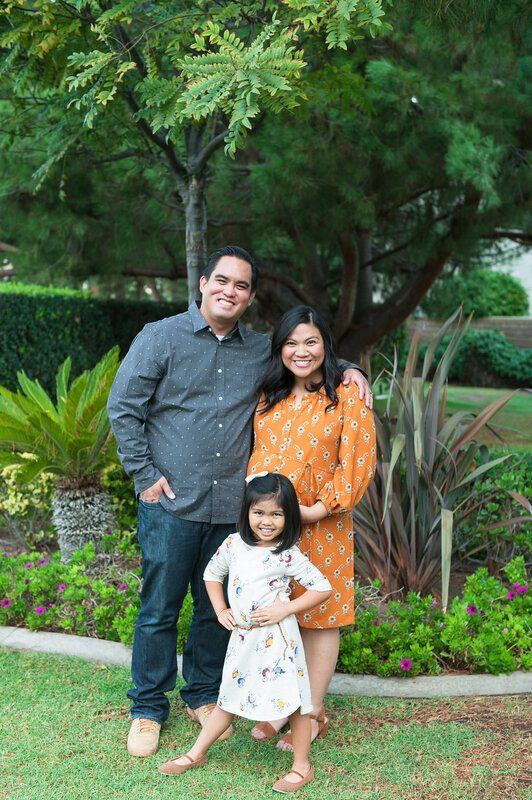 Everyone that follows our work on social media knows about my overwhelming love for my niece Olivia so when news broke out that she's gonna be joining the very exclusive "Ate (Big Sister) Club" I was ecstatic for her and for our families. You would be shocked with where my initial design started from? It's far from where it ended up and such a wonderful turn of events. 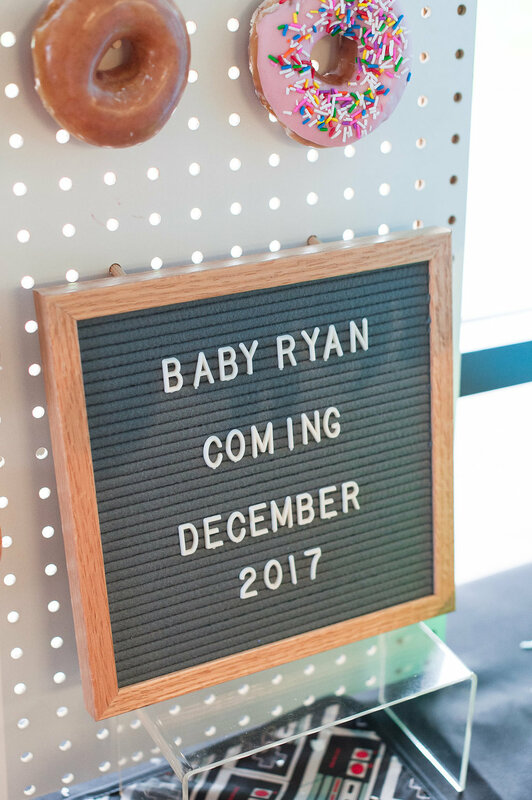 Started my design around a cactus themed baby shower for my sister Leah & Kevin with a lot of bohemian flair thrown in - very boho chic to be exact. Like many of my ideas I discussed them with my trusted business partner (the hubby!) for his feedback and he gave me a very unsatisfying "meh" face. He reminded me of what I'm great at and that tying in the personalities of my clients to their events. 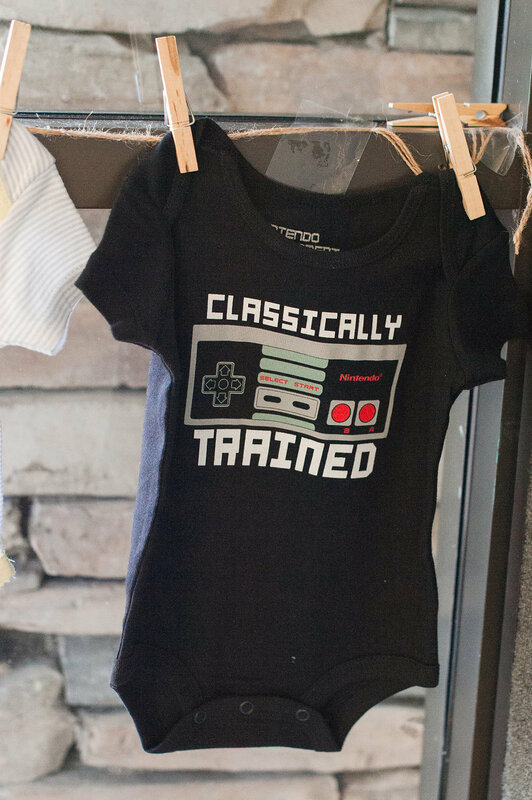 Then the video game inspired baby shower was born in celebration of my brother in law and his son - Baby Ryan. I chose to focus my design elements on 2 of the more iconic video games that almost everyone can identify with - Super Mario Brothers and Pac Man. 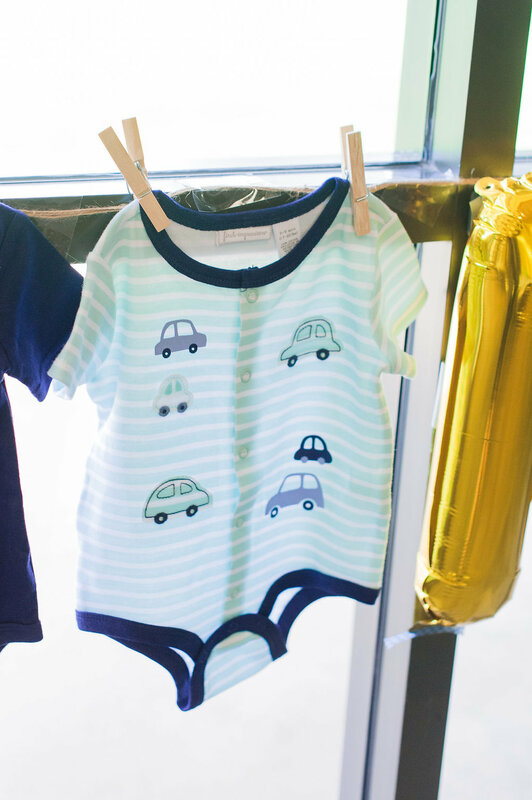 It was a day of celebration for our families as we gain a new addition to the family with great food (brunch of course! ), drinks (mimosas for the win! 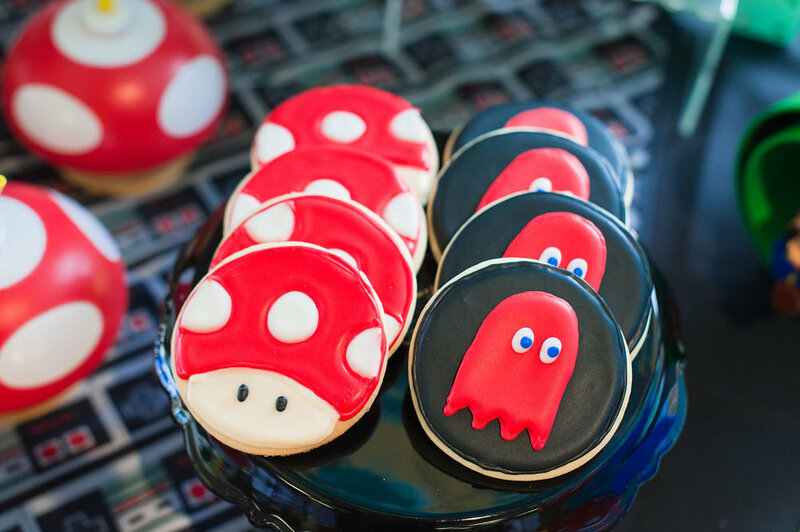 ), a gaming station complete with Mario Kart for kids and adults to enjoy and a dessert table to send all our guests with sweet treats. We chose to host the celebration at Alta Vista Country Club which has become a great venue for us to host many different events because of their amazing staff and location. Their Sunday Brunch was something we wanted to try and offered a great selection for all our guests. Breakfast items included: made to order omelets station, eggs benedict, waffles, breakfast potatoes, bacon and sausage, biscuits and gravy while the lunch offerings included: chicken cordon bleu, chile relleno, beef tips over pasta and carving stations for ham, turkey and prime rib. After collaborating with my friend Michelle last Valentines' Day for our Galentines' Soiree (click here to read all about it! ), I knew we needed to collaborate more on future events & projects. Michelle designed a beautiful work of art made of balloons to highlight our dessert table. 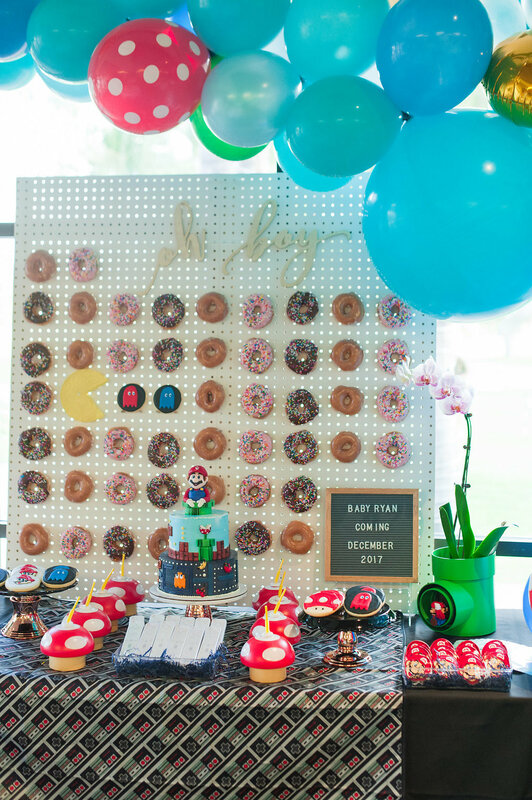 She chose color inspirations based on the more vibrant hues associated with Super Mario Brothers and it made a perfect centerpiece to our baby shower. 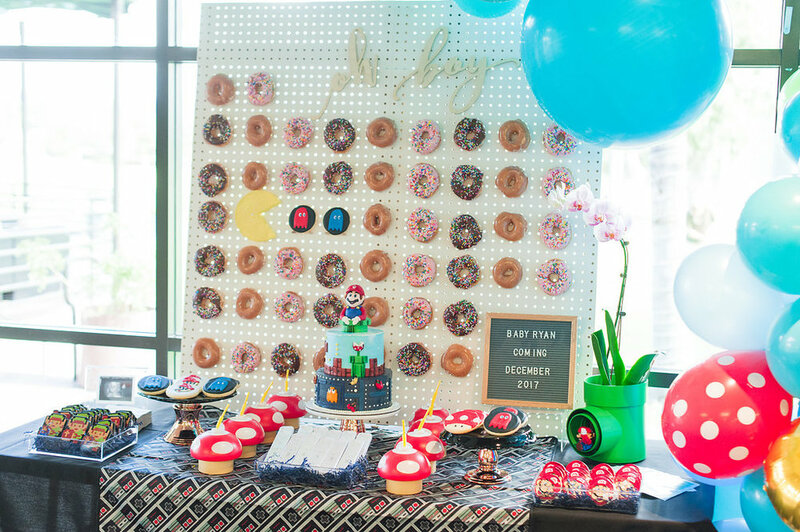 We stocked our dessert table with different treats to make sure that every guest has something yummy to take home - Krispy Kreme donuts off our custom donut wall, Super Mario & Pac Man custom cookies and candy in video game inspired tins for the kiddos. No details were spared from the amazing baby shower cake that Amriel designed for us. She is such a wonderfully talented human that I'm so glad to have worked with. 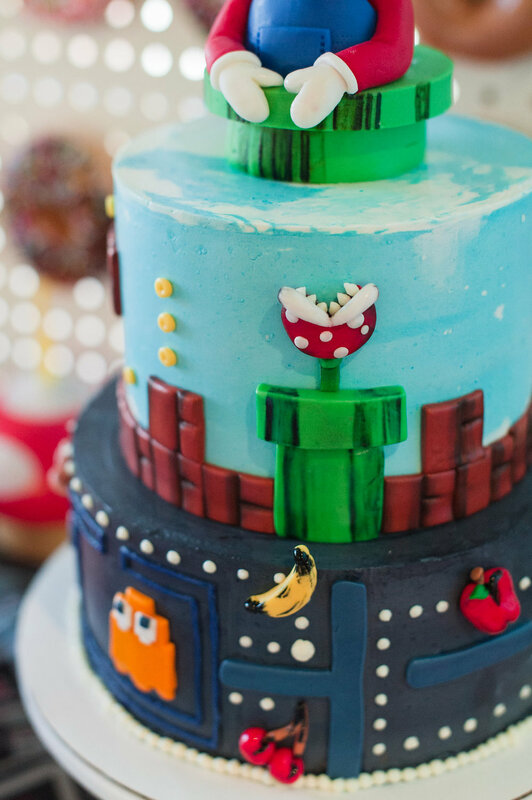 Her attention to the littlest detail of this cake is so charming that she hand painted each character that was on the cake. She is truly a force to be reckoned with in the cake biz - and she's only 19! What would a video game inspired party be without a gaming station? Not the right kind of party I say! We knew we had to make it happen so we brought in a TV and a Nintendo Switch with several games for our guests to choose from. 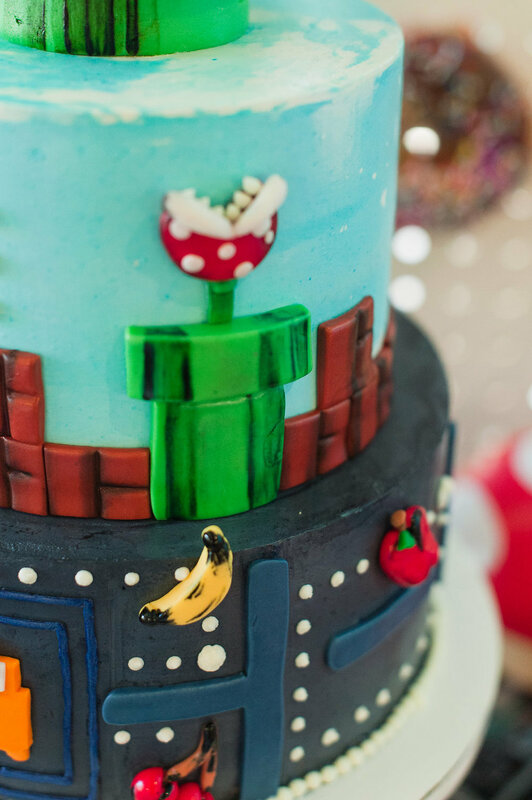 we decked the space with a Super Mario stand in and other decorative items to inspire our gamers to win! 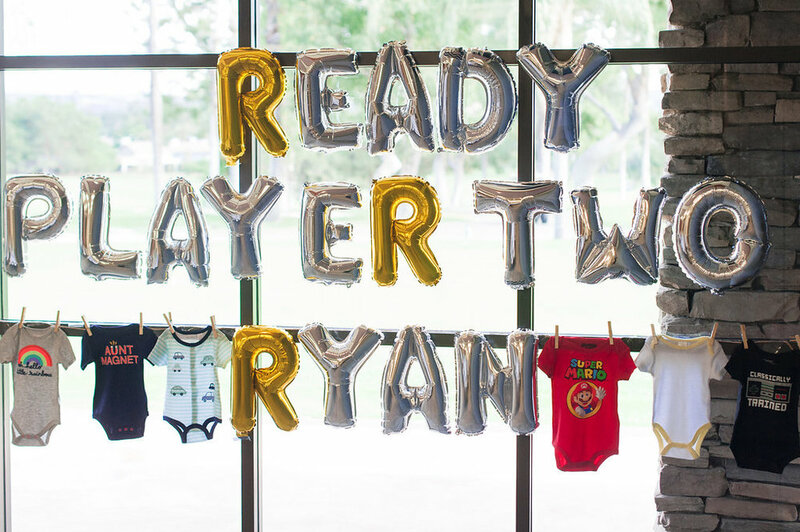 In just a few short weeks, you'll be joining this crazy family baby Ryan - hope you're ready for us since we're all very ready for you - especially Ate Liv. Be ready to be showered with lots of love, laughter, loud voices, happy faces from so many that already love you so much.